Find everything paranormal in New York using this guide. Interested in ghost tours? Haunted houses? Mediums? Paranormal bookstores? This directory of all things paranormal in NY is for you. See a list of the many New York psychic readers in your area. 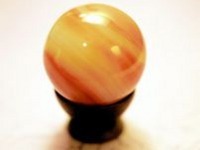 If you want to hire a psychic New York is the place to look. For party entertainment or a look into your future, this directory lists many types of psychics.